So fast you won't believe she's a Cav! 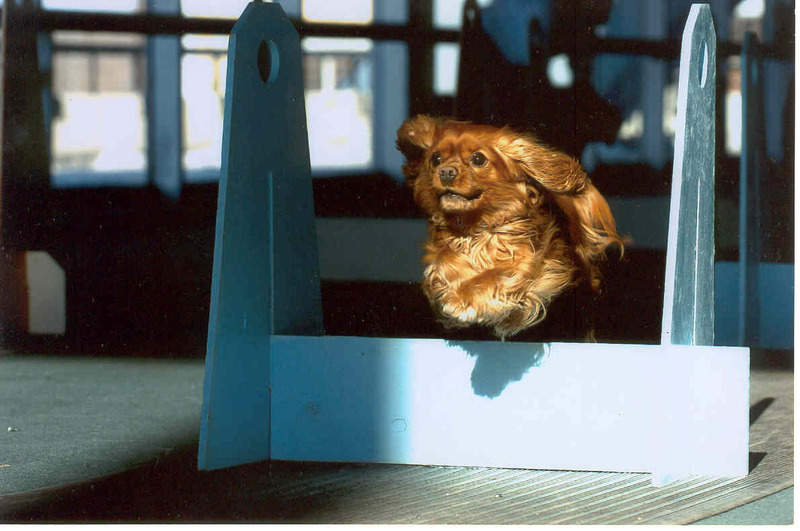 Flyball and agility, but mostly just being Marian's shadow. Following Marian around the house. Romping through woods at the lake house. 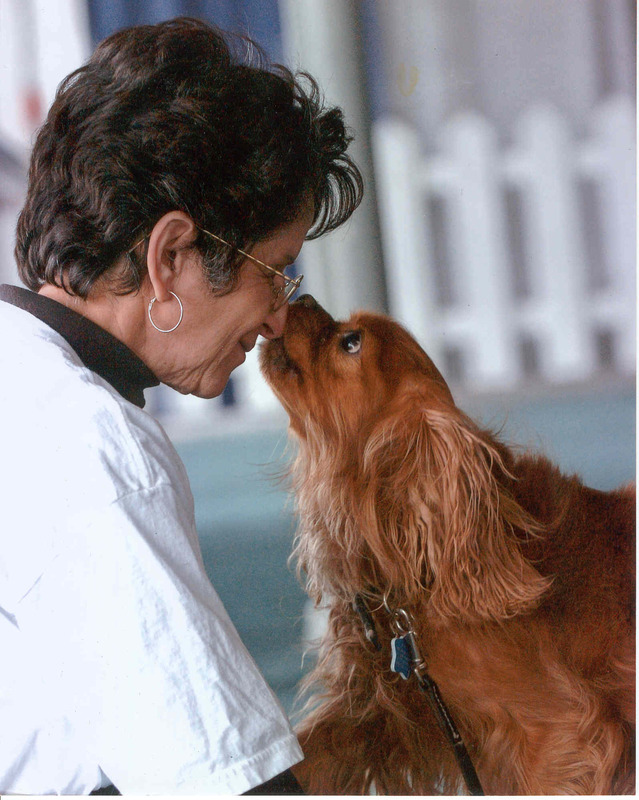 Being "ears" for her deaf sister, Reba. A 4 inch stuffed animal that squeaks. She’s learning to play tug with her new On the Ball tug. Keisha can hold a sit/stay for a very long time. She will also not touch a treat placed in front of her nose until told to do so. 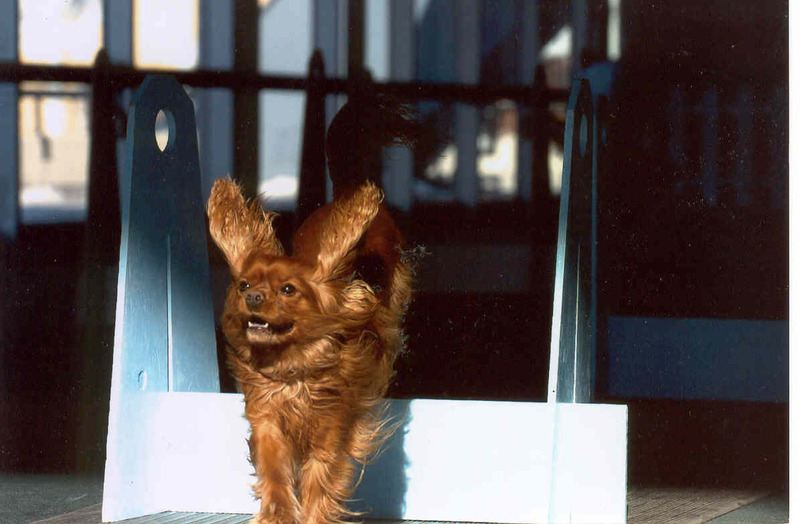 Keisha started her flyball career in 1999 with Afterburners, Ottawa's first flyball team. 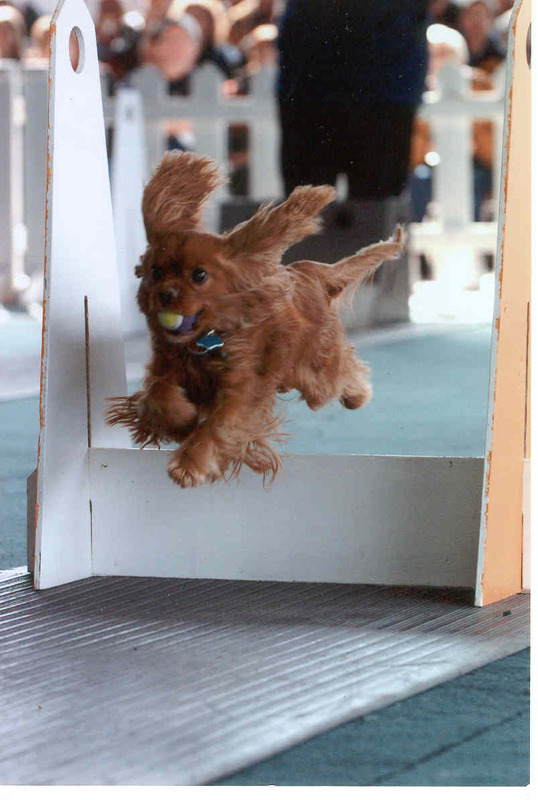 Even though she never learned to catch the ball, being the team's only height dog for many tournaments, she earned enough points to be the world's top ranked Cavalier in flyball and thus the first Cavalier to achieve the Flyball Master Champion title, followed by her Onyx in 2006. Since joining On The Ball, Keisha has made great progress on actually catching the ball, thanks to the wonderful box that Keith has designed with her in mind. Be sure to take a look at that box at our next tournament. Its awesome!! Keisha retired after a great 2007 season.